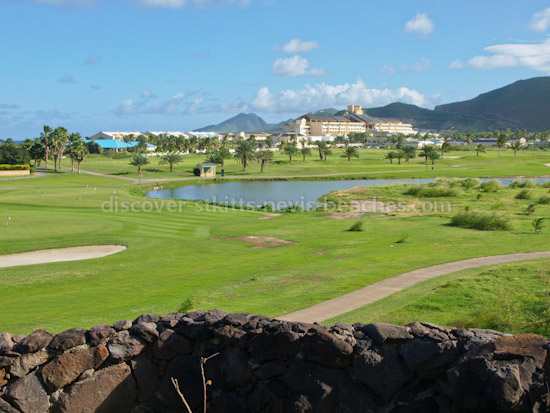 What Makes Caribbean Cruises to St Kitts Nevis So Special? 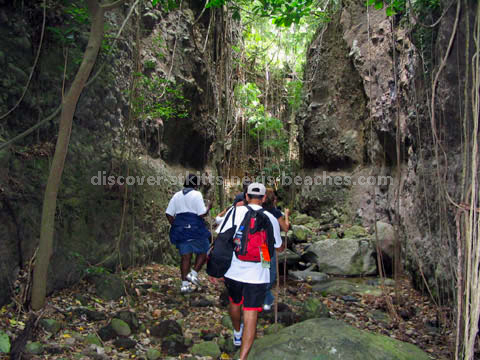 I can give you many answers to the question "What makes Caribbean cruises to St Kitts Nevis so special?". Although I believe that it may be easier to show you and let you decide for yourself, before I do that I'll attempt to provide a quick answer. 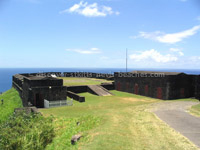 In my humble opinion, some of the defining factors that make Caribbean cruises to St Kitts Nevis so special are the rich history and abundance of historical and cultural attractions (many of which are unexploited), the wide variety of St Kitts shore excursions, the natural beauty and scenic landscapes, the pristine beaches, the fine historical architecture and of course the warm hospitality of the Kittitian and Nevisian people. But don't just take my word for it, come see for yourself. To help you decide, I've put together a slide show of some scenic views of St Kitts and Nevis below. 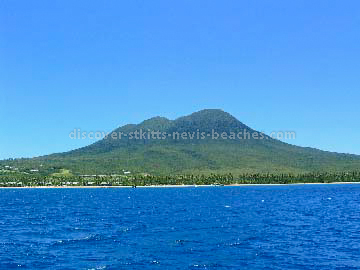 Although I have never sailed into St Kitts or Nevis on a cruise ship, I know that the views are just absolutely breathtaking from what I have seen from sailing into the ports of Basseterre and Charlestown on the inter-island ferries. No wonder there are so many flashes from the cameras of the passengers on the Caribbean cruises to St Kitts Nevis as the cruise ships sail in and out of our ports. 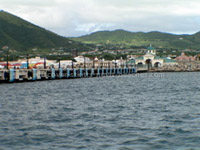 Where do Caribbean Cruises to St Kitts Nevis dock? Port Zante in downtown Basseterre, St Kitts is the deep water cruise ship facility that accommodates Caribbean cruises to St Kitts Nevis and Eastern Caribbean cruises that call on St. Kitts. 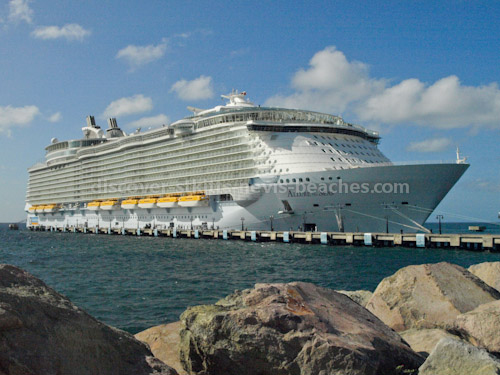 In addition to providing docking facilities for mega cruise ships (Allure of the Seas docked here on December 30, 2011), Port Zante also easily accommodates luxury yachts and pleasure sailing vessels. Previously, cruise ships docked at the deep water port, St Kitts' cargo port facility located at Bird Rock. 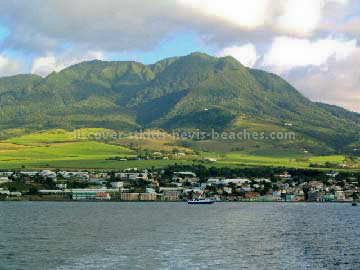 Nevis on the other hand is more of an up-market destination and as such cruise tourism is not the major focus. However, Caribbean cruises by smaller ships, and other shallow draught vessels can be comfortably accommodated at the port in Charlestown. Major cruise lines providing cruise travel to St Kitts Nevis include Cunard Cruises, Carnival Cruise Lines, Royal Caribbean Cruise Line, Princess Cruises, Celebrity Cruises, P&O Cruises, Holland America Cruise Line, and Norwegian Cruise Line. 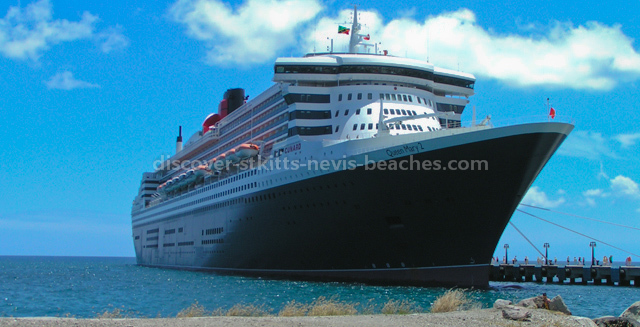 The importance of St Kitts Nevis as a Caribbean cruise destination was demonstrated on February 3, 2004 when St Kitts welcomed the Queen Mary 2, the world’s largest cruise ship at that time which was sailing on its inaugural Caribbean cruise. Downtown Basseterre was bustling with activity that day, as the cruise ship passengers tried to take in as much as they could, including shopping, island tours, tours of Brimstone Hill Fortress National Park - a UNESCO World Heritage Site, and the St Kitts Scenic Railway Sugar Train Tour - the only one of its kind in the Caribbean. Others chose to escape the hustle and bustle by opting instead to relax on the tranquil beaches of the Southeast Peninsula. Many locals visited Port Zante on that day to catch a glimpse of the luxury cruise liner anchored just outside the port. Most locals (myself included) were disappointed that it did not dock alongside the pier. The Commodore of the Queen Mary 2 said it was "a documentation situation" why the ship did not dock, and indicated that they would soon be able to overcome that situation. So I'm sure that on its next visit to St Kitts, the Queen Mary 2 will dock alongside the pier at Port Zante. More recently, on December 30, 2011, the largest cruise ship Royal Caribbean's Allure of the Seas docked alongside the pier at Port Zante. Which Cruise Ships offer Caribbean Cruises to St Kitts Nevis? 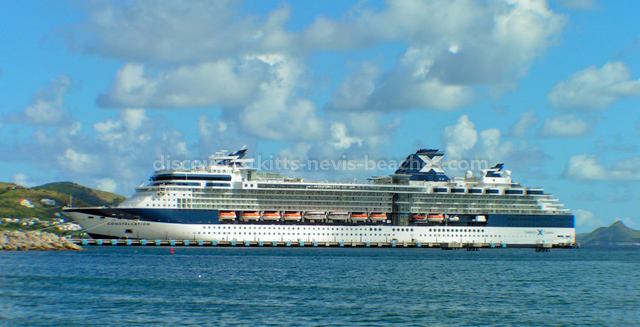 Most of the major cruise lines including Carnival Cruise Lines, Royal Caribbean Cruise Line, Celebrity Cruises, Cunard Cruise Lines, Norwegian Cruise Lines, Holland America Cruise Line, Princess Cruises and P & O Cruises among others offer Caribbean cruises to St Kitts Nevis. When it comes to the ships that actually call on our shores, it's not practical for me to list all of those here since in any given season there can be anywhere close to fifty cruise ships calling. For example, for the 2012-2013 cruise ship season, some 47 ships are expected to make in the region of 255 port calls bringing a total of 556,475 passengers. While I'm on the subject of cruise lines and cruise ships that offer cruises to Caribbean, it is interesting to note that nowadays many Caribbean cruises can be considered green cruises. This should not come as a surprise considering all the attention that is being paid to global warming, reducing carbon footprints, reducing green house gases, renewable energy and all things related to the environment. This article on green cruising looks at how green are cruises to the Caribbean and highlights the green initiatives of the major cruise lines. If you are interested in finding those ships that offer Caribbean cruises to St Kitts Nevis, a great resource that I've found is CruiseCompete's discount cruises website. At this site you will be able to search for Caribbean cruise discounts and have travel agents compete to offer you the best prices for your Caribbean cruise. They offer some of the best discount cruises and hottest cruise deals available on the internet. And if you do decide to purchase a Caribbean cruise, I would strongly recommend that you also purchase travel insurance so that you can be assured of protection in the event you need to cancel or interrupt your cruise travel because of injury, sickness, or death to you, a travelling companion, or immediate family member. 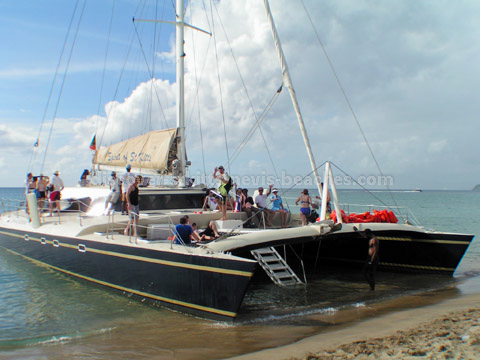 Will you be visiting on one of the Caribbean Cruises to St Kitts Nevis? 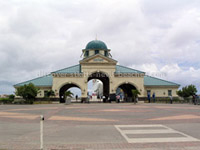 If so you will be thrilled at the range of activities and shore excursions to choose from including shopping around for souvenirs in Basseterre and Charlestown, basking in the sunshine while relaxing on the tranquil St Kitts Nevis beaches, island tours, eco-safari tours, rain forest adventure tours, heritage tours, water-based activities including catamaran cruises, fishing tours, windsurfing, scuba diving and kayaking and snorkelling trips, plus ATV/quad bike tours, mountain bike tours, horseback riding and the Sugar Train Tour on the St Kitts Scenic Railway which is dubbed the most unique and entertaining experience in the Caribbean. While all of the activities are enjoyable, my advice to you would be to make sure you check out those that distinguish St Kitts and Nevis from the other Caribbean destinations. 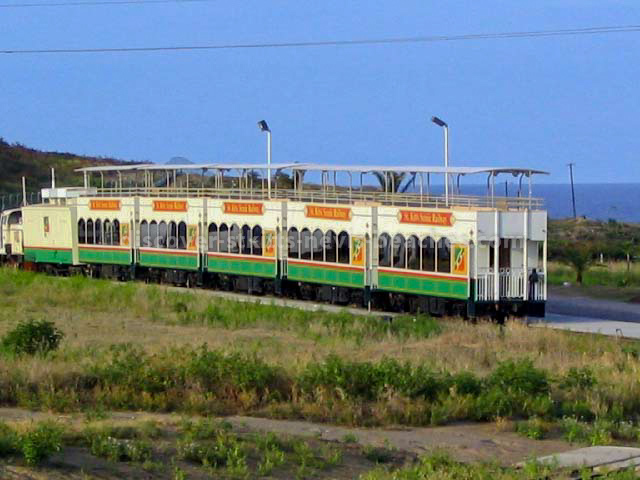 These include the historical attractions at Brimstone Hill, a UNESCO World Heritage Site, the Carib petroglyphs at Stonefort and Old Road, plantation ruins, sugar plantations that have been beautifully restored as Plantation Inns, Nevis Bath Estate and Bath Springs and of course the Scenic Railway Tour. You may not know this but the islands of St Kitts and Nevis are known for their top class historical attractions, some of which have already been developed as tourist attractions, but many of which are relatively undiscovered. 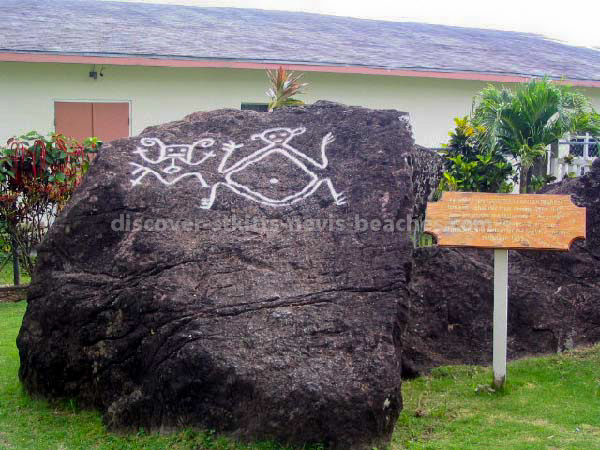 As such, no visit to this twin island paradise would be complete if you missed the opportunity to sample the historical and cultural attractions that the islands are known for. 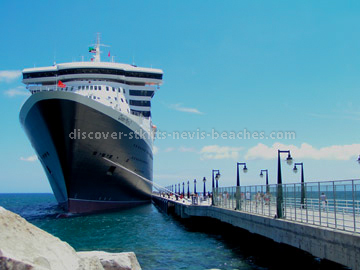 And it doesn't matter that you may only be visiting for a few hours on one of the Caribbean cruises to St Kitts Nevis. That's more than enough time to sample a cross section of the exciting island adventures. Plus, you are always welcome to return via air travel for a longer, more leisurely stay at any one of the hotels, resorts, exotic plantation inns, luxury villas, apartments and vacation homes. 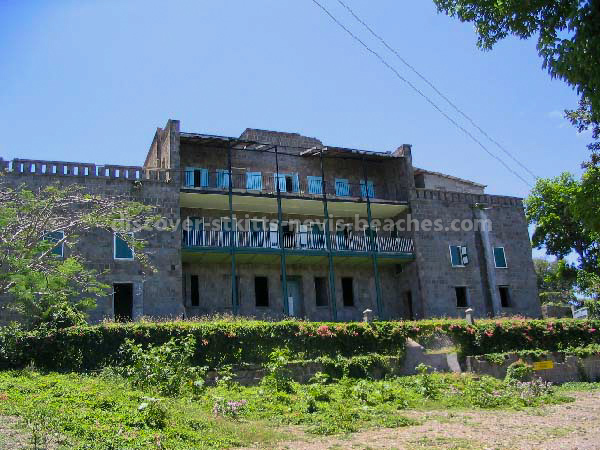 On the other hand, if you fall in love with St Kitts or Nevis and decide that you'd like to live here, then my St Kitts Nevis real estate page can assist you in locating choice real estate property on both islands. For your convenience, Discover St Kitts Nevis Beaches has partnered with Liz Pereira, Owner of Pereira Tours St. Kitts to help you in planning how to spend your time in St Kitts and Nevis. Please feel free to contact Liz, for answers to your questions about Caribbean cruises to St Kitts Nevis and shore excursions to take while here. 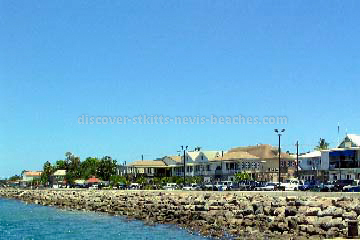 Do enjoy your stay in St Kitts and Nevis and remember to visit Discover-StKitts-Nevis-Beaches.Com often or subscribe to "The St Kitts and Nevis Beach Buzz" for continuing updates on Caribbean cruises to St Kitts Nevis. 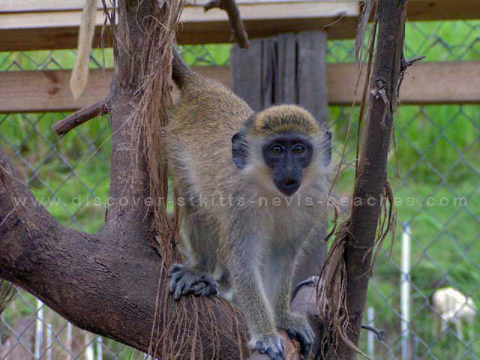 Please do not hesitate to contact me if you have any questions about St Kitts Nevis.